The incident happened at Sruth an Luir, Oram, Castleblayney on Sunday. A MAN IN his late 20s is due to appear in court this morning in connection with the serious assault of a man at a house in Co Monaghan over the weekend. 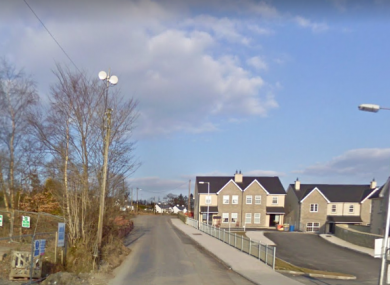 Gardaí were called to a house at Sruth an Luir, Oram, Castleblayney on Sunday and discovered a 41-year-old man with a head wound. He was taken to Our Lady of Lourdes Hospital in Drogheda where his condition was described as serious. Gardaí investigating the serious assault arrested a man in his late 20s. He was detained at Castleblayney Garda Station under Section 4 of the Criminal Justice Act 1984. A man in his late 20s is due to appear before Cavan District Court at 10.30am this morning. Gardaí are appealing for witnesses to contact Castlebayney Garda Station on 042 974 0668, the Garda Confidential Line on 1800 666 111, or any garda station. Email “Man (20s) due in court over serious assault at house in Monaghan”. Feedback on “Man (20s) due in court over serious assault at house in Monaghan”.